Mystery Godoku. Puzzle and Clue for 11/16/2009. Welcome to Mystery Godoku for 11/16/2009. His short stories include “Of Vice and Men” and “Undercover Cop” (9 letters). Print Version (PDF format, opens in a new window. 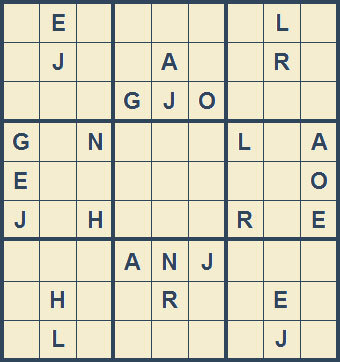 For more mystery godoku puzzles, visit our archives. Thank you for visiting Mystery Godoku, and return every week for a new puzzle to solve!